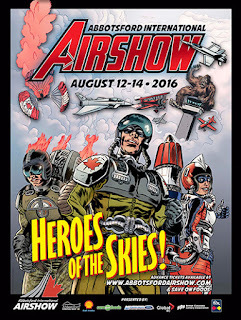 It was hot and sunny in Abbotsford this year, perfect weather for an Airshow. With Mount Baker gleaming in the background the stage was set for an aircraft fans perfect day. and an F-8F Bearcat in the line-up. Also along was the Heritage Flight Museums Mitusbishi A6M Zero clone. 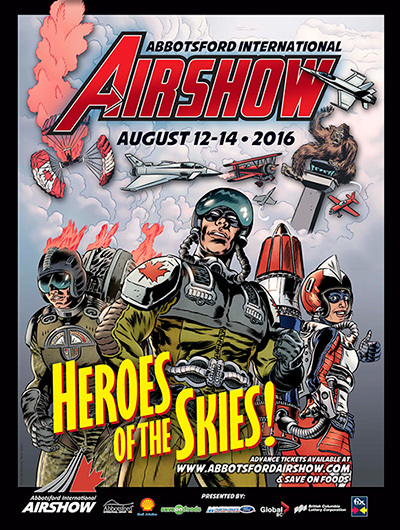 In keeping with that same theme, the show was also highlighting the accomplishments of the British Commonwealth Air Training Plan in Canada. Which meant lot of bright yellow trainers. Although flying with US Navy colours, this Boeing PT-17, seen above, was representative of Canadian wartime trainers. A pair of vintage T-6 Harvard trainer were joined by their modern equivalent, all in traditional yellow. The modern T-6 was painted in the traditional colours. In the distant past it was believed that this was the best shade for visibility. Now, it appears, black is favoured for avoiding air-to-air encounters of the expensive kind. Not, of course, that the choice of colour has anything to do with the 'cool' factor. Not that it hurts, as this CT-155 Hawk testifies. As any trainer aircraft, such as this CH-146 Griffon and CH-139 Jet Ranger, can tell you, black is the new yellow. Colours can matter. Needless to say "Air superiority gray" is ' de rigueur' for any self respecting fast jet. 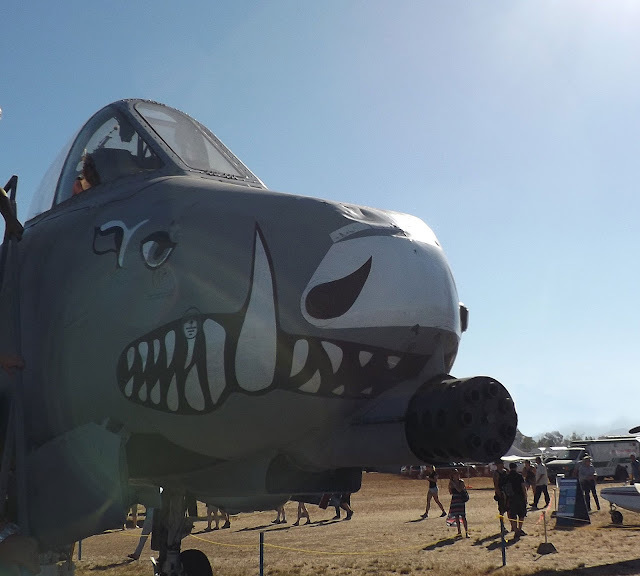 although how this A-10 qualifies as a "fast jet" is not so clear. but at least it makes more sense then this SH-60, Seahawk on detachment from the USS Nimitz. You can't help but think that, as good as our long promised CH-148 Cyclones are suppose to be, how long could we have been flying aircraft like this off our frigates, if only our procurement system had been capable of acquiring them. Which brings us to this CH-149 Cormorant, which shows that 'high vis' yellow is still fashionable in some quarters. originally from Israel and now the property of CAE/Draken stood out. The pilot, a twenty year RCAF veteran, advised that they also operated ex-New Zealand A-4K's equipped with APG-66 air-to-air radar that saw a lot of use at Red Flag in Nevada. Discovery Air may have some real competition here. One of the great things about a visit to any airport are the weird and wonderful 'planes that can be found around the outskirts of the field. Case in point, these Conair S-2 Firecats. The folding wings remind you of their naval origins and that, like the A-4, they are still used operationally by the Brazilian navy. appearance in Canada of the F-35. The air police and rope line reminded some spectators of a certain age of the occasional appearance of the F-117 Nighthawk at events like this in the past. But with a little maneuvering it was possible to get an unimpeded shot of the aircraft, albeit one that seems to emphasize its rather portly lines. This rear view shows the complex geometry of the design which would appear to confirm reports that the aircraft has lower "stealth" from this angle. 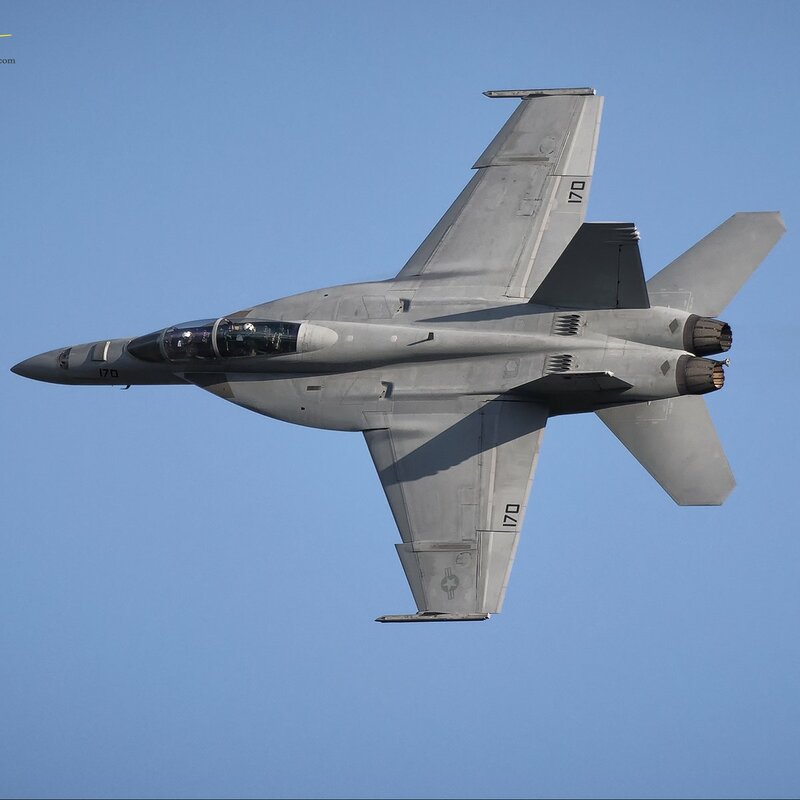 It was interesting to see, as this stock photo provided at the Abbotsford Airshow site shows, that unlike it's competitor the F-18 Superhornet was able to provide a flying demonstration as well as static viewing. A great airshow and great aircraft.